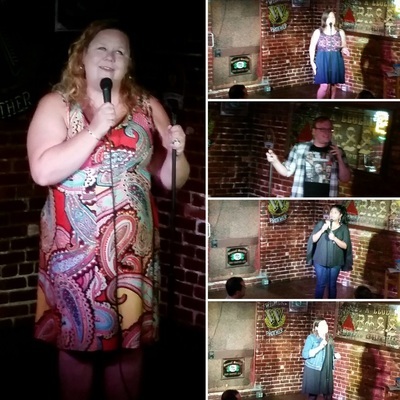 Basking in the lingering haze of the three-day bacchanal that was the Labor Day holiday, a throng of ardent Perfect Liars Club supporters made their way to the Bier Baron Tavern to celebrate the “season premiere” of everyone’s favorite storytelling-interrogation show. There were stories. Four, in fact. There was an interrogation that offered up a preponderance of math-related questions. And in the end, the percentages being what they are, there was another Perfect Liar. Did Leah’s attempts to fulfill her own Eat, Pray, Love fantasy in Egypt get derailed by local custom? Did Vijai really win big on slots at the Atlantic City Harrah’s when she was eleven years old? Did Melissa’s volunteer stint on a crisis hotline uncover an affair involving her Physics professor and a fellow classmate? And did Nate’s family trip to Russia to adopt a brother and sister feature so many awkward moments? ​There were questions. So many questions from the audience regarding distances, frequency, and credit card account balances. Not to mention the myriad of questions far too risqué to repeat here regarding the love-making habits of our storytellers. Really? Really. Hands were raised. Votes were tabulated. A drumroll sounded. 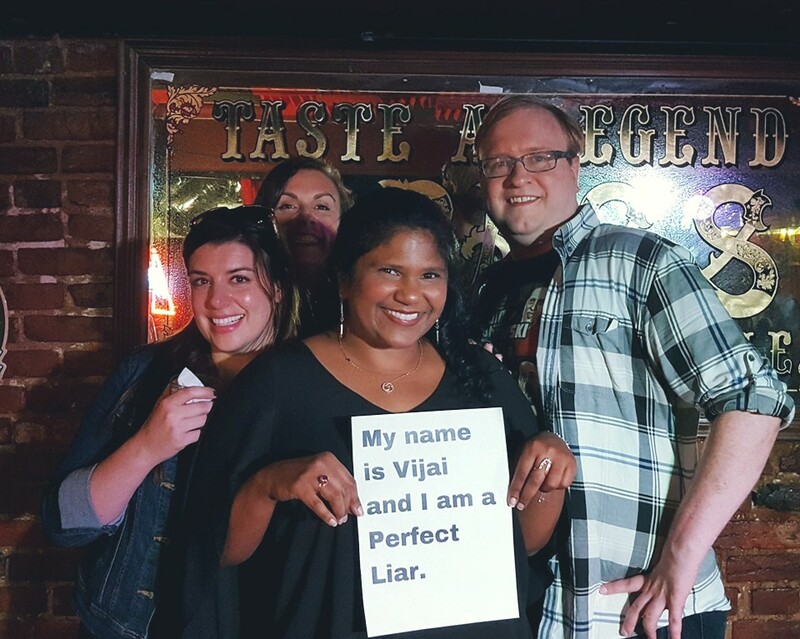 And when the night’s Perfect Liar stepped forward, a stunned audience discovered that they should have doubled down on Vijai’s tale of casino chicanery.